Get a custom tote bag for teaching today! 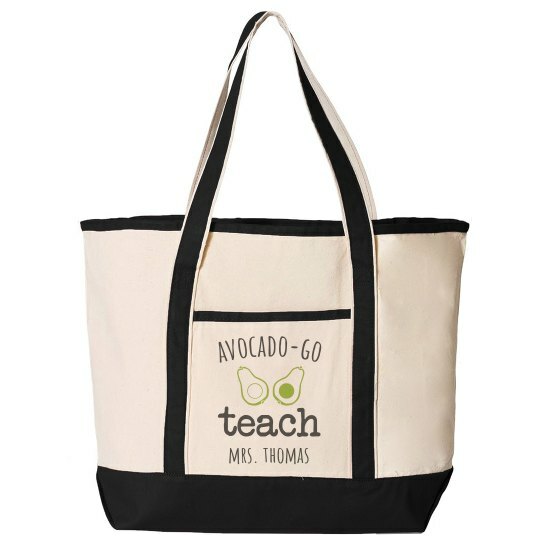 The fun avocado design is perfect for any trendy, food-loving instructor needing something to put their books in. You can also personalize the bag so it has your name, and everyone will know who it belongs too.